A year or two ago, I started seeing information on Google’s new streaming video device: Chromecast. The information I initially gathered was sketchy, but, as I studied it, I began to understand some of it’s capabilities. 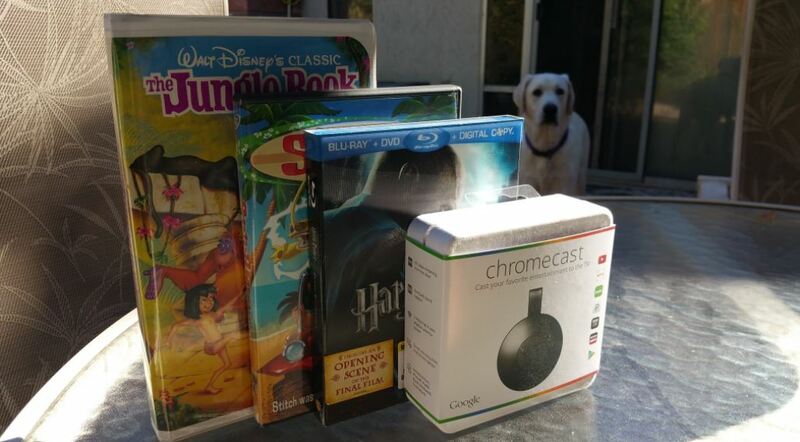 Sufficiently intrigued, I asked Santa for a Chromecast for Christmas 2014, and guess what? I got it! Ostensibly, the $35.00 Chromecast allows you to watch streaming video content (ie Netflix, VUDU, Hulu, Google Play, YouTube, etc.) on your big screen TV. All this is controlled via your smartphone and an app called, ingeniously, “Chromecast” (see the red circle in the picture). Hmmmm, I already have two devices that allow us to watch streamed content from many sources: Our old Sony Blu-Ray player and our fairly new Samsung SMART HDTV . Each connects to the Internet (one wired, one WiFi) and each allows us to watch all sorts of online content (i.e. movies or binge on TV) on the big screen. 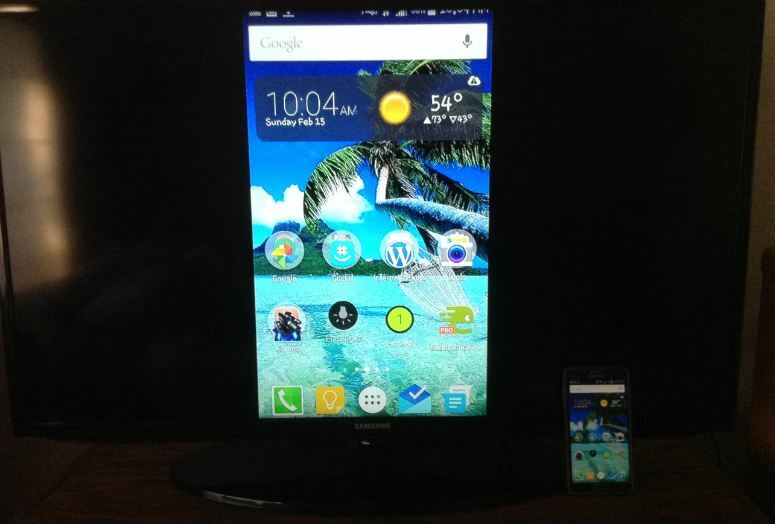 Why do I need a Chromecast when I already have these two devices and am perfectly happy with them? Well….in addition to streaming the video content from the web, I can also stream much of the content on my Android smartphone, or iPhone, or laptop computer onto the big screen: Photos, applications, games, or just share the screen. Question: Do I really need this capability? Update October 2015: We use it often to watch movies (go here to read my blog on how watching movies has changed with technology). It works great and sometimes we get a 99 cent deal that we just can’t pass up. We also bought the latest version (see pic below) and expect to use it even more. It fits in HDMI port 3 of our new Sony Sound Bar. The picture shows the main components of the Chromecast system. 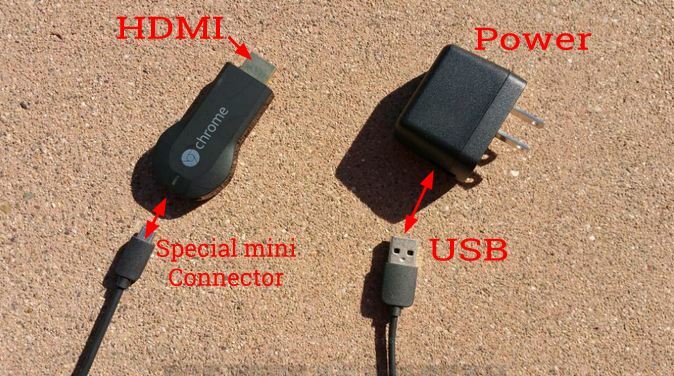 Just plug the pieces together as shown, then plug the Chromecast dongle into an open HDMI port on your TV and the power plug into the wall or power strip. You are ready to go. Easy as 3.14. Now that Chromecast dongle is setup and working, here is what I suspect is happening. Chromecast is connected to the Internet via WiFi. (If you don’t have WiFi you are screwed, but, it is 2015…get with the program. haha). Your Android or IOS smartphone, tablet, or computer connects, via the Chromecast app or program, to the Chromecast dongle. 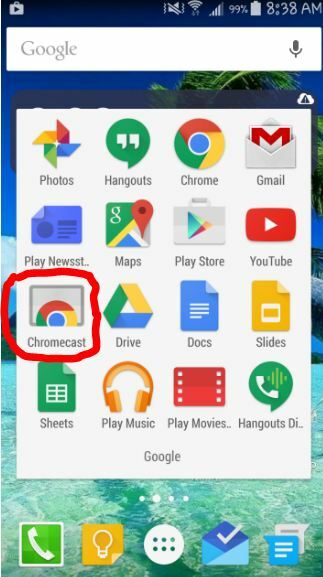 Your phone then tells Chromecast where to look to get content: Netflix, VUDU, Hulu, Google Play, or any number of apps that support Chromecast, see this list. Chromecast then grabs the content you want and displays it on your TV via the HDMI port. You can control the dongle via your smartphone or computer: Play, pause, stop, fast forward, etc. Now that we have it all connected and setup (and sort of understand how it works) we are ready to watch our first movie. 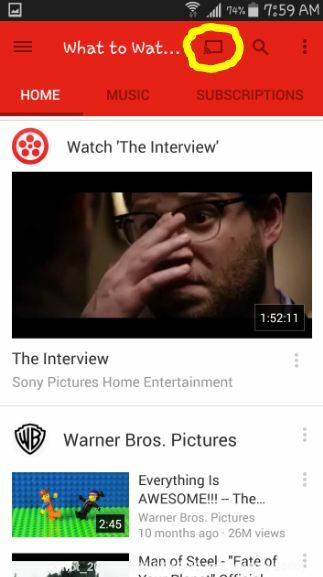 With all the buzz around “The Interview” around the holidays, we decided to watch it via Google Play. 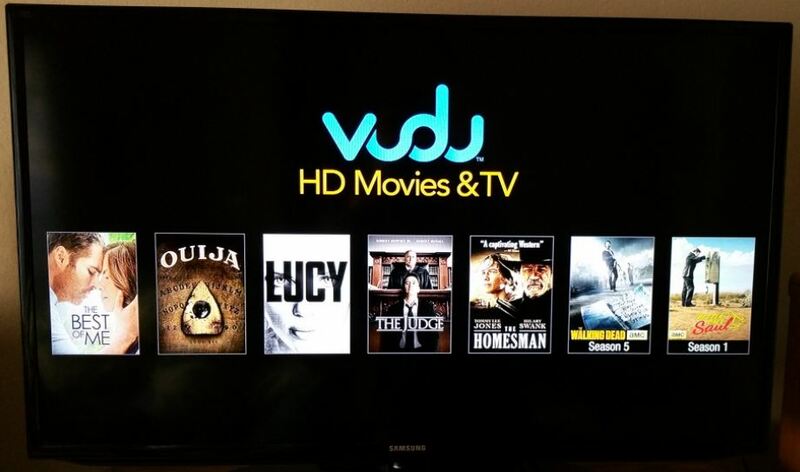 After finding and paying to rent it on Google Play we simply hit the play icon and the Chromcast icon (in the yellow circle) and watched the movie come to life on our big screen HDTV. Although “The Interview” was kind of a crappy movie (see my review), the video and audio quality were comparable to the Sony Blu-Ray player that is wired to the Internet. It did freeze at one point and we needed to fiddle with it to get it running again. But then it was fine. We have watched one more movie and noticed that the video streaming, again, stopped at one point. I fiddled around but finally just rebooted and went back to the scene where it stopped. As a test, I have since watched a few trailers on VUDU and noticed that the playback of the video stalled with a spinning wheel until it started up again a few seconds later. Buffering. For a quick comparison, I immediately viewed the same trailers using the Samsung SMART TV and they were smooth as silk. (Note: The Chromecast was plugged into the Samsung and both are connected to the Internet via WiFi). In case there is any doubt…here is a measurement of our Wifi connection speeds at home. Not bad and certainly sufficient for smooth video operation even at HD bit rates. To view the photos, they must be online. If they are just on your phone, this is the message you get. In Beta is the ability to share your screen on the TV. Probably will be useful for presentations and such. You can see my Galaxy note 4 in the bottom right. 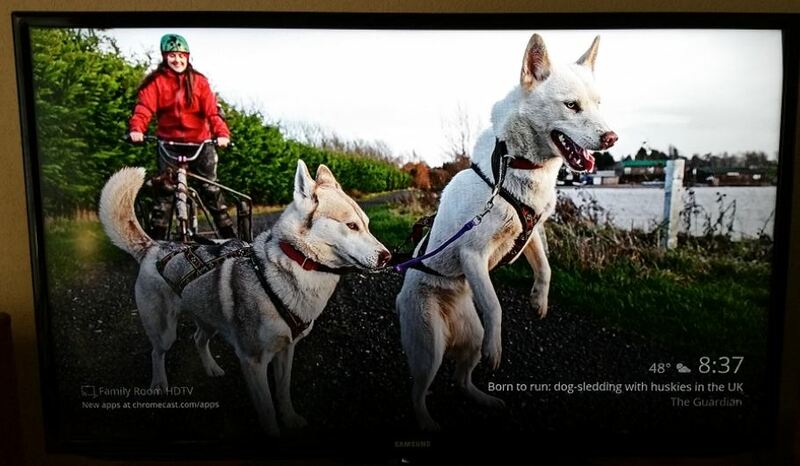 You can put your own pictures as the background on your TV, or you can select various options. Since I do not sit and watch the TV while the background is running, I just picked from one of the options. 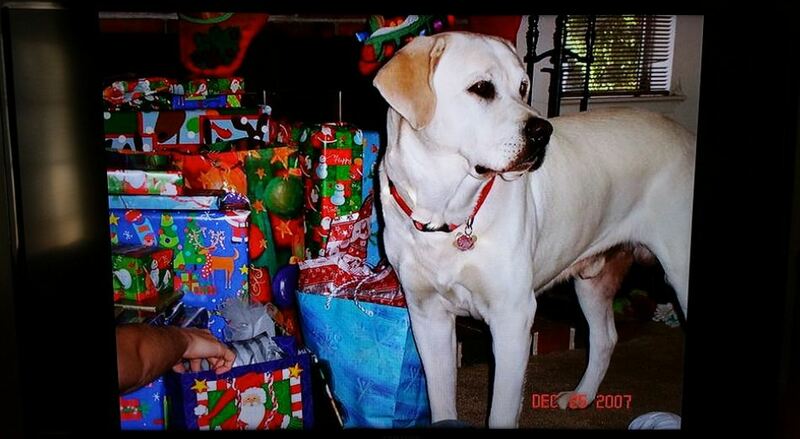 However, for family photo viewing, this is great. 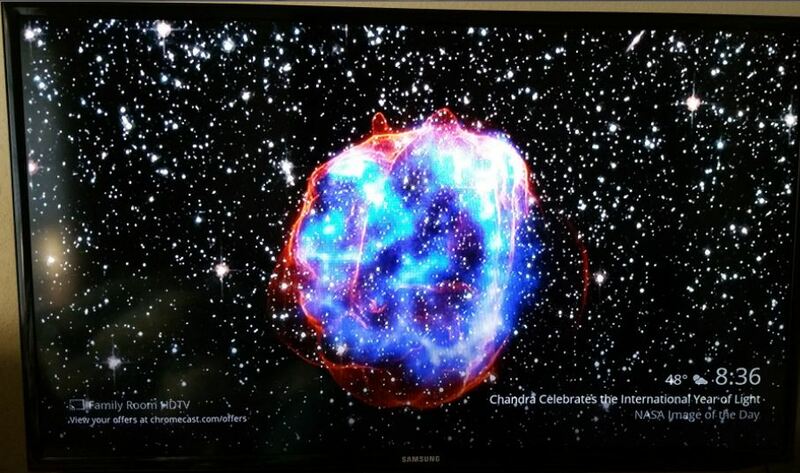 Chromecast is a fun device to play with. If you do not already have a more expensive device to play content from the Internet then Chromecast is a good, very affordable, product for you to have. If you want to show photos, or display your screen, and applications on a large screen, then Chromecast is again for you. There are other features I did not touch on here, so please go to this web site for all you need to know about Google Chromecast. For some nitty gritty technical details, visit this site.